Place of birth: Ghas (M.S. ), India. Don Bosco Marg, Nashik -422005. India. Teacher, Divyadaan: Salesian Institute of Philosophy, Nashik, 1992-1994. Teacher, Bosco Udyogshala (pre-novitiate), Pinguli, 1994-1995. Administrator and Assistant Parish Priest, Don Bosco, Jaitala, Nagpur, 1999- 2000. Zonal Youth Director in the Archdiocese of Nagpur, 1999-2000. Teacher and Prefect of Studies, Divyadaan: Salesian Institute of Philosophy, Nashik, 2000-2001. Zonal Youth Director in the Diocese of Nashik, 2000-2001. Teacher, Prefect of Studies and Registrar in Divyadaan: Salesian Institute of Philosophy, Nashik from June 2004-2006. Bachelor of Philosophy, Divyadaan: Salesian Institute of Philosophy, Nashik, 1990. Master of Philosophy, Jnana Deepa Vidyapeeth, Pune, 1992. Bachelor of Arts (with specialization in Psyhology and Sociology), University of Bombay, 1993. Bachelor of Theology, Kristu Jyoti College, Bangalore (affiliated to the Salesian Pontifical University, Rome), 1998. Certificate course in “Human Development and Spiritual Counselling Skills.” Institute of St. Anselm: International Centre for Religious Formation, Kent, England, 2003. Ph.D., Faculty of Philosophy, Salesian Pontifical Univer­sity, Rome, 2004. “Communication as Mutual Self-Mediation in Context: Bernard Lonergan’s Philosophy of Communication”. Director: Adriano Alessi, S. D B. History of Modern Western Philosophy, Political Philosophy, Introduction to Philosophy of Communication, Mass media and Informatics. “Evaluating Ambedkar’s Social Philosophy in the Context of Casteism in India.” Divyadaan: Journal of Philosophy and Education 6 (1995) 63-70. “The Dialectic of Faith and Reason” Jnanodaya: Journal of Philosophy 6 (1997) 41-46. Book notice of Abraham Vettical, Salesian Vision 2020: Quality Education of Poor Youth: Proceedings of the National Conference on Salesian Academic and Technical Schools, Hyderabad, 13-16 September 1999. Divyadaan: Journal of Philosophy and Education 12 (2001) 328-329. Book notices of V.T. Rajshekar, Christians and Dalit Liberation: What the Church Can Do? ; V.T. Rajshekar, The Second Partition of India? Sunset on the Dalit World; B.R. Ambedkar, Untouchables are not Hindus but a Separate Element: An Essay on the Tyranny of the Hindus. Divyadaan: Journal of Philosophy and Education 13 (2002) 150-151. “From Mirage to Oasis.” Jnanodaya: Journal of Philosophy 10 (2003) 49-66. “The Lonerganian Notion of Mediation in the Process of Communication.” Divyadaan: Journal of Philosophy and Education 15/3 (2004) 477-520. “Objectivity and Truth in Communication and Interpretation according to Bernard Lonergan.” Jnanodaya: Journal of Philosophy 11 (2004) 39-71. Communication as Mutual Self-Mediation in Context: Bernard Lonergan’s Philosophy of Communication. Extract of the Doctoral Thesis (Rome: Salesian Pontifical University, June 2004). “Communication as Mutual Self-Mediation in Context: Bernard Lonergan’s Philosophy of Communication.” Annuario per l’anno accademico 2003-2004. LXIV dalla fondazione. Universita’ Pontificia Salesiana. Roma 2005. 309-350. “Mass Media and the Plurality of Values.” Divyadaan: Journal of Philosophy and Education 16/3 (2005) 323-342. “Prayer as a mutual self-mediation of God and Humankind” Jnanodaya: Journal of Philosophy 13 (2006) 15-46. “Introduction: Towards a Holistic Philosophy of Education.” Divyadaan: Journal of Philosophy and Education 17/1 (2006) 1-8.
Review of Peter Henrici, A Practical Guide to Study with a Bibliography of Tools of Work for Philosophy and Theology, tr. Ivo Coelho. Divyadaan: Journal of Philosophy and Education 17/3 (2006) 331-333.
Review of Joseph Palakeel (ed. ), Towards a Communication Theology. Divyadaan: Journal of Philosophy and Education 17/3 (2006) 336-338. “Mass Media and the Plurality of Values.” Johnson Puthenpurackal (ed. ), Pluralism of Pluralism: A Pluralistic Probe into Philosophizing. Bangalore: ATC publication, 2006. 275-298.
Review of M. Victor Louis Anthuvan, The Dynamics and the Impact of Globalization: A Subaltern Perspective. Divyadaan: Journal of Philosophy and Education 18/3 (2007) 391-392. “Effects of Western Media on Indian Culture”. Keith D’Souza (ed. ), Culture as Gift and Task. Bangalore: ATC publication, 2008. 388-407. “Il terrorismo Indu in India.” ‘Il Dialogo’, Periodico della Comunita’ Opitergina, 46/3, (Marzo 2009) 12. “Folk Media and Tribal Culture”. Vincent Aind (ed. 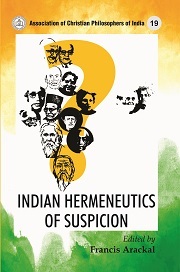 ), Enigma of Indian Tribal Life and Culture: Philosophical Investigations. Bangalore: ATC Publication, 2009. 227-248. Critical Understanding of Social Communication. Communication for Pastoral Leadership - book 2. New Delhi: Don Bosco communications, 2010. “Educommunication” Divyadaan: Journal of Philosophy and Education 21/1 (2010) 65-81. “Media Violence”. Ivo Coelho (ed.) Violence: A Philosophical Response from the Indian Perspective. Bangalore: ATC Publication, 2010. 353-372. “Communication” Johnson J. Puthenpurackal (editor-in-chief), ACPI Encyclopedia of Philosophy. Bangalore: ATC Publication, 2010. 289-292. “Media – in India” Johnson J. Puthenpurackal (editor-in-chief), ACPI Encyclopedia of Philosophy. Bangalore: ATC Publication, 2010. 871-874. “Rumour” Johnson J. Puthenpurackal (editor-in-chief), ACPI Encyclopedia of Philosophy. Bangalore: ATC Publication, 2010. 1206-1207.
Review of Peter Gonsalves, Clothing for Liberation: a communication analysis of Gandhi’s Swadeshi Revolution. Divyadaan: Journal of Philosophy and Education 21/3 (2011) 447-449. “Jurgen habermas’ Philosophy of Communication”. Saju Chackalackal (ed.) Tradition and Innovation: Philosophy of Rootendness and Openness. Bangalore: ATC Publication, 2011. 427-450. “Social Humanism: the Social Philosophy of Dr. B.R. Ambedkar”. An unpublished paper completed at Jnana Deepa Vidyapeeth, Pontifical Institute of Philosophy and Religion, Pune, 1992, as a requirement of Master of Philosophy degree course. “Communication as Mutual Self-Mediation in Context: Bernard Lonergan’s Philosophy of Communication”. Director: Adriano Alessi, S. D. B. Doctoral Extract, Salesian Pontifical University, Rome, June 2004. “Introduction to Philosophy of Communication”, mimeographed notes, Divyadaan, Oct 2004. “Modern Western Philosophy”, mimeographed notes, Divyadaan, Dec 2004. “..and the Word was made Flesh: Philosophy of Language”, Divyadaan, February 2005. Translation from the original Italian book of Carlo Huber, E la Parole ci fece il Carne: filosofia del linguaggio, Editrice Pontificia Universita’ Gregoriana, Roma, 2001. “Socio-Political Philosophy”, mimeographed notes, Divyadaan, September 2005. In October 1999, conducted a week long seminar on “Skills in Communication and Youth Ministry” at Pillar Seminary, Nagpur. In November 1999, conducted a three days seminar on “Parent -Youth Relations” at Pallotine Seminary, Nagpur. In October 2000, conducted a week long seminar for the theologians of the 3rd and the 4th year on “Communication and Media Education” in St. Charles Seminary, Nagpur. From 12th to 14th December 2004 conducted a ‘Seminar on Philosophy of Communication’ for the students of philosophy of St. John’s Regional Seminary, Kondadaba, Vishakapatanam. On 7th February 2005 conducted a one day seminar on ‘Mass media communication and its effects in the 21st century’ for the teachers of St. Joseph High school, Jaitala. On 3rd and 4th June 2005 conducted a seminar for the teachers of Don Bosco High School, Nashik on the topic ‘Personal Counselling’. On 7th June 2005 conducted a seminar for the teachers of Kilbil, St. Joseph’s High School, Nashik on the topic ‘Communication skills’. From 1st to 10th July 2005 conducted a course on ‘philosophy of communication’ for the students of philosophy of the Dominican Seminary, Orlem, Goa. On 8th October 2005 he conducted a one day ‘Seminar on Social Communication’ for the Religious of Nashik Diocese at Shrirampur. “Pluralism of Values in Mass Media” A lecture given at the 30th Annual ACPI (Association of Christian Philosophers of India) - Sonada, Darjeeling, 15th -23rd October, 2005. On 5th June 2006 conducted a seminar on “Group Communication” for teachers of Don Bosco School. “Pastoral Communication and Alternative Media”, a three day seminar conducted at NESCOM (North East Communication Centre), Guwahati, August 2006. “Youth and Media” a one day seminar conducted for the Youth Directors of Mumbai Archdiocese, Prayer House, Khandala, September 2006. “Social Communication”, a three day course conducted at Salesian Pre-novitiate, Kudal, Sindhudurg, October 2006. “Communication as sharing of Meaning and Values”. A lecture given at the 3rd International Lonergan Conference, held at Mainz, Germany from 2nd -7th January 2007 on the theme: “Intellectual Honesty in Philosophy and Theology Today: In Honor of the 50th Anniversary of the Publication of Lonergan’s Insight: A Study of Human Understanding”. “Socio-Political Philosophy”, a two credit course conducted for the second year philosophy students at Goregaon Seminary, January 2007. “Philosophy of Communication” a two credit course conducted at Dominican seminary, Orlem, Goa , 1st to 15th July 2007. “Effects of Western Media on Indian Culture”. 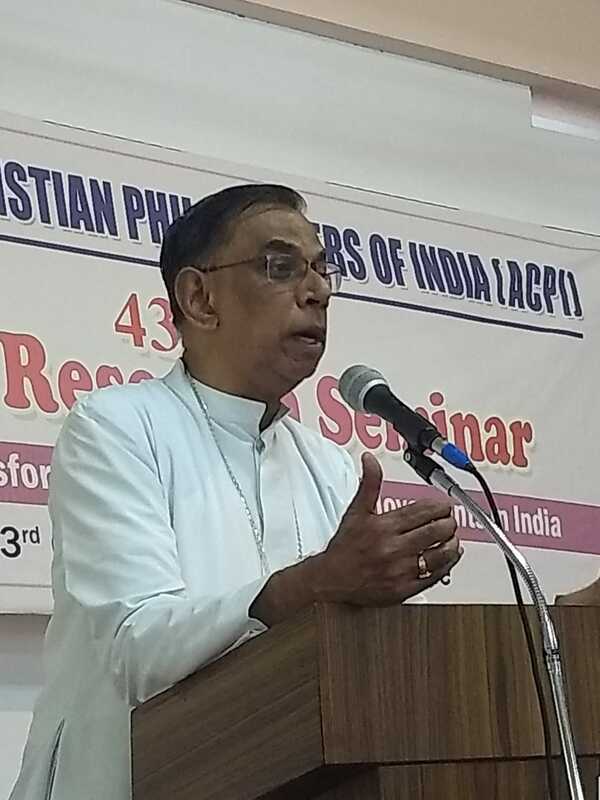 A paper presented at the 32nd Annual meeting of ACPI (Association of Christian Philosophers of India) held at Vadavathoor seminary, Kotayam, Kerela from 10th to 13th October 2007 on the theme: “Culture: A Philosophical Look from the Indian Perspective”. “Philosophy of Communication” a two-credit course conducted at Pillar Niketan, Nagpur, 15th to 21st November 2007. “Media Education” A one-day seminar conducted for the teachers of Orchid International School, Anjineri, Nashik on 6th January 2008. “Socio-Political Philosophy”, a two credit course conducted for the second year philosophy students at Goregaon Seminary, 20th January to 2nd February 2008. “Narrating the story of Jesus through Media” a lecture given at the Mission Congress of the Vasai Diocesan Priest and Religious at Bishop’s House, Vasai on 13th April 2008. “Philosophy of Communication” a two-credit course conducted at JDV, Pune from 24th July to 14th August 2008 . “Philosophy of Communication” a two-credit course conducted at Pillar Niketan, Nagpur, from 6th to 10th October 2008. “Folk Media and Tribal Culture”. A paper presented at the 33rd Annual meeting of ACPI (Association of Christian Philosophers of India) held at Progoloy, Barasat, Calcutta from 21st to 23rd October 2008 on the theme: “Tribal Culture: A Philosophical Response from the Indian Perspective”. “Socio-Political Philosophy”, a two credit course conducted for the second year philosophy students at Goregaon Seminary, 19th January to 28th January 2009. “Media Education” A one-day seminar conducted for the St. IX students of St. Aloysius school, Papadi, Vasai on 9th March 2009. “Media Education” A one-day seminar conducted for the teachers and students of St. Aloysius D.Ed College, Papadi, Vasai on 21st March 2009. “Praxis of Salesian Educational Method” a seminar conducted for the teachers of Don Bosco High School, Nashik on 13th June 2009. “Self Esteem” A one-day seminar conducted for the teachers of Sacred Heart School, Nashik on 27th June 2009. “Self Esteem and Motivational skills”. A two day seminar conducted for the Std. X students of St. Xavier High School, Nashik on 26 -27 July 2009. “Emotional coping”. A one day seminar conducted for the teachers of St. Xavier High School, Nashik on 27 August 2009. “Philosophy of Communication” a two-credit course conducted at JDV, Pune from 3rd August to 14th August 2009. “Impact of Media on Christian Living in the background of Globalization” A one day seminar conducted for the 3rd year Theology students of JDV on 24th Sept 2009. “Media Violence” A paper presented at the 34th Annual meeting of ACPI (Association of Christian Philosophers of India) held at Anugraha, Dindigal, Tamil Nadu From 18th to 22nd October 2009, on the theme: “Violence: A Philosophical Response from the Indian Perspective”. “The Centre and the Congregation’s thinking (especially in the light of GC26, e.g. its emphasis on evangelisation - #44)” A paper presented at BOSCOM- SOUTH ASIA meet held at Don Bosco Provincial House, Hyderabad from 25th to 30th October2009. “Taking care of Media Habits”. A one day seminar conducted for the 8th and 9th std. students of St. Xavier High School, Nashik on 10 December 2009. “Socio-Political Philosophy”, a two credit course conducted for the second year philosophy students at Goregaon Seminary, 25th January to 5th February 2009. “Communication and Motivation skills”. A one day seminar conducted for the teachers of St. Mary’s School, Bhiwandi on 24 June 2010. “Communication and Motivation skills”. A one day seminar conducted for the teachers of St. Philomena School, Nashik on 10 July 2010. “Pastoral Communication” a one-credit course conducted for the Deacons at JDV, Pune from 24th July to 29th July 2010. “Philosophy of Communication” a two-credit course conducted at JDV, Pune from 3rd August to 14th August 2010. “Philosophy of Communication” a two-credit course conducted at Pillar Niketan, Nagpur, 27th September to 1st October 2010. “Tradition-Innovation-Dynamics in Habermas’ Theory of Communicative Action” A paper presented at the 35th Annual meeting of ACPI (Association of Christian Philosophers of India) held at Carmel Vidya Niketan, Pakhal village, Faridabad Dt., Hariyana from October 23 to October 27, 2010 on the theme: “Tradition and Innovation: Philosophical Rootedness and Openness”. “Communicative Challenges to Print Media today” lecture given at ‘Doot Centenary Dialogue’ organized on 4th December 2010 at Pastoral Centre, Nirmal Nagar, Nadiyad, Gujarat. “Socio-Political Philosophy”, a two credit course conducted for the second year philosophy students at Goregaon Seminary, 17th January to 27th January 2011. “Communication and Motivation skills”. A one day seminar conducted for the students of l’Ecole Silver Oak School, Nashik on 5th February 2011. “Don Bosco Way” A one day seminar conducted for the teachers’ of St. Joseph High School, Jaitala, Nagupr on 27th August 2011. “Don Bosco Way” A one day seminar conducted for the teachers’ of Don Bosco High School, Savedi, Ahmednagar on 9th September 2011. “Don Bosco Way” A one day seminar conducted for the Youth Animators of Jungle Camp Social Centre, Walwanda, Mokhada on 17th September 2011. In June 2002, Participated in the Lonergan Workshop at Boston College, Boston, USA with the theme “The Morality of Inquiry: A Response in Memory of 9/11”. From the 22nd to 25th October 2004 participated in the 29th annual ACPI (Association of Christian Philosophers of India) seminar held at Jalandhar, Punjab on the theme: ‘Philosophizing from a Subaltern Perspective’. From 3rd to 6th November 2004 participated in the seminar on communication organized by BIS (Bosco Information Services), India, entitled ‘Leading youth through opinion generation’ in Delhi. From 15th -23rd October 2005 participated in the 30th annual ACPI (Association of Christian Philosophers of India) seminar held at Sonada, Darjeeling, on the theme: “Pluralism: A challenge to Philosophizing in Today’s India”. From 5th to 9th March 2006 participated in the national seminar on “Media Response to Natural/Human made Calamities” organized by SIGNIS-INDIA in Vailankanni, Nagapatinam, India. From 27th -30th October 2006 participated in the 31st annual ACPI (Association of Christian Philosophers of India ) seminar held at Sacred Heart Seminary, Poonamallee, Chennai, Tamilnadu, October 2006” “Dynamics of Religion: a philosophical review from the Indian perspectives”. From 12th to 17th December 2006 participated in the National Consultation on “Communication as Mission”, Ishvani Kendra, Pune. From 2nd -7th January 2007 participated in the Third International Lonergan Conference, held at Mainz, Germany on the theme: “Intellectual Honesty in Philosophy and Theology Today: In Honor of the 50th Anniversary of the Publication of Lonergan’s Insight: A Study of Human Understanding”. From 20 – 23 September 2007 participated in the “First meeting of Faculties and Salesian Centres of Formation to Social Communication”, organized by the Social Communication Department of Rome at São Paulo, Brazil. From 10th to 13th October 2007 participated in the 32nd Annual meeting of ACPI (Association of Christian Philosophers of India) held at Vadavathoor seminary, Kotayam, Kerela on the theme: “Culture: A Philosophical Look from the Indian Perspective”. From 16th to 18th November 2007 participated in the regional SIGNIS seminar on “Media at the service of inter-religious understanding” organized by SIGNIS – India at Sarvodaya, Goregaon, Mumbai. From 21st to 23rd October 2008 participated in the 33rd Annual meeting of ACPI (Association of Christian Philosophers of India) held at Progoloy, Barasat, Calcutta on the theme: “Tribal Culture: A Philosophical Response from the Indian Perspective”. From 18th to 22nd October 2009 participated in the 34th Annual meeting of ACPI (Association of Christian Philosophers of India) held at Anugraha, Dindigal, Tamil Nadu, on the theme: “Violence: A Philosophical Response from the Indian Perspective”. From 25th to 30th October 2009 participated in BOSCOM- SOUTH ASIA meet held at Don Bosco Provincial House, Hyderabad. From 23rd to 27th October 2010 participated in the 35th Annual meeting of ACPI (Association of Christian Philosophers of India) held at Carmel Vidya Niketan, Pakhal village, Faridabad Dt., Hariyana on the theme: “Tradition and Innovation: Philosophical Rootedness and Openness”. 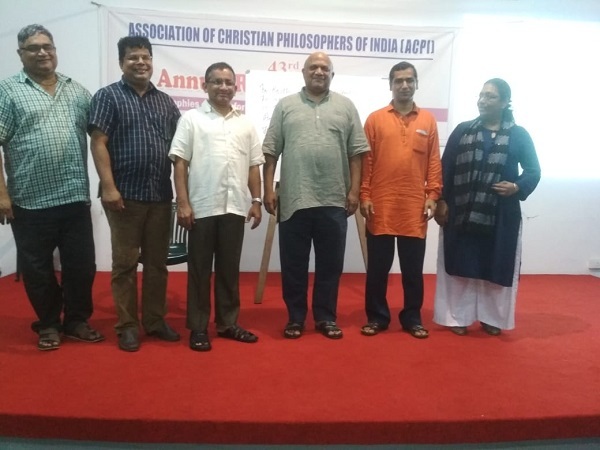 From 10th to 13th October 2011 participated in the 36th Annual meeting of ACPI (Association of Christian Philosophers of India) held at Good Shepherd Major emiinary, Kunnoth, Kerala on the theme: “History and Historizing”. Current status: Principal and Registrar, Teacher of Philosophy, Prefect of studies, Divyadaan: Salesian Institute of Philosophy, Nashik, India from June 2005 onwards.